Watch free fun kids’ online video and enjoy 3D cartoons. In this 3D car cartoon for kids, join your favorite friends for fun in Wheelcity! 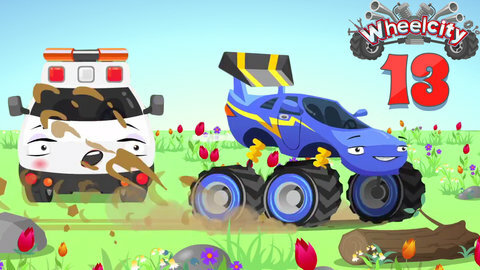 Bad bully monster truck is not nice to Lila the Ambulance. Hook the Tow Truck finds out and gets even. Toddlers will laugh out loud when they see what happens to bullies. Visit SeeZisKids.com for more fun and amazing children’s videos.